Sooooooooo very excited to get Dearly, Beloved from Netgalley! and now I can't wait to get started on this! That's all for me this week. What new books did you get??? I really love Dearly Beloved's cover more than previous, it's simply pretty. Happy reading! So very excited to read this one! Such a pretty cover. I loved the first one and as soon as we are both done we must discuss! Cool, I didn't even know there was a sequel to book #1. I sort of thought it was a stand alone book. Its always appreciated when you divulge the source of your review books. I wished I'd read the first so I could request this one. Pretty sure I don't have the time to read them both. lol. Wow! 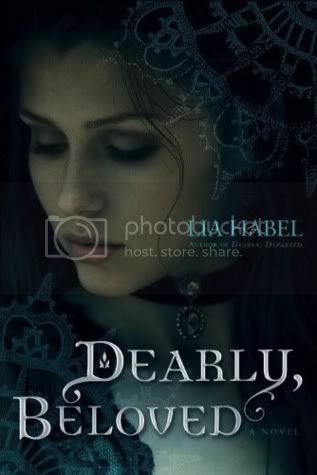 I can't wait to hear what you think of it :) Dearly, Beloved was one of my favorite YA debuts from last year. Hope you enjoy Dearly, Beloved! Enjoy Dearly, Beloved. I got it too and I can't wait to start it. DD is one of my favorite YA books of all time. So excited! I received the same book! So excited to read this one since I enjoyed Dearly, Departed so much! I got this one too! I'm ridiculously excited to get to read it! I got this one too and I can't wait to read it-I loved the first book especially Pammie! I still have to read Dearly Departed but I look forward to know what you think of this one Christy :) !! Oh I really need to start this series. I hope you'll enjoy this one as much as the first one. Happy reading! I wasn't really that interested in reading Dearly Departed, but all this positive talk about the sequel is making me want to give in and read it. I hope you enjoy reading it! Oh nice! I'm intrigued about this but I think I need some opinions regarding it first. Let me know what you think of this, okay? I haven't read Dearly Departed yet but it looks fantastic! The cover of this one is so cool!